In all workplaces, well trained staff are both more effective and efficient. It is no different with your cleaning team, and training doesn’t need to be an expensive investment. We have developed a range of training services which will help you to achieve these benefits. 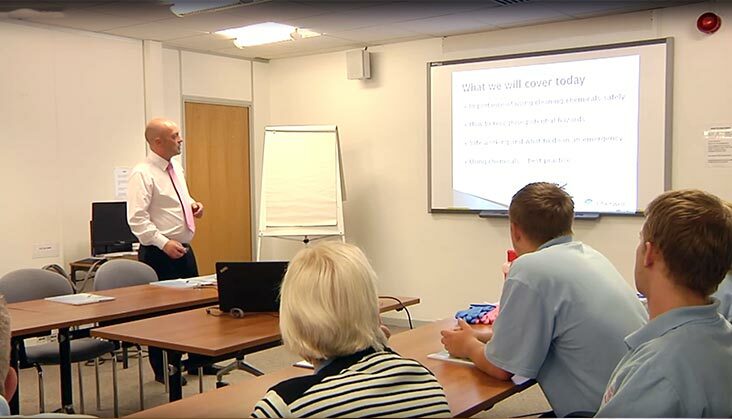 Most of our workshops/courses are presented on-site, all in an informal but informative manner, with maximum participation from attendees in order to increase the effectiveness of the training. Our groundbreaking online training portal, free and exclusive to customers of Cherwell, is a highly effective and administratively low-cost method to train your staff. With easy to watch informative ‘how to’ videos, printable task cards and a multiple choice quiz on all topics, you can be certain that your team is fully trained for the tasks required of them. Certificates can be downloaded upon completing each topic. Click here to read more about the training portal and see example videos and training cards. Under COSHH regulations, employers have an obligation to ensure that their employees follow good practice in the safe handling of the cleaning chemicals they use in the workplace. At the end of the ‘safe use of chemicals’ workshop, your employees will fully understand the importance of safe working and will be aware of key COSHH requirements, as they impact upon them in their everyday work. A summary workshop guide and a takeaway quiz are given to all participants. The workshop guide is also available in several different foreign languages. Read more about our Safe Use of Chemicals Workshop here. In order to get the best cleaning results, the most economical use of your cleaning and hygiene supplies, and improve staff productivity, it is important that your staff know how to use products efficiently and effectivley. 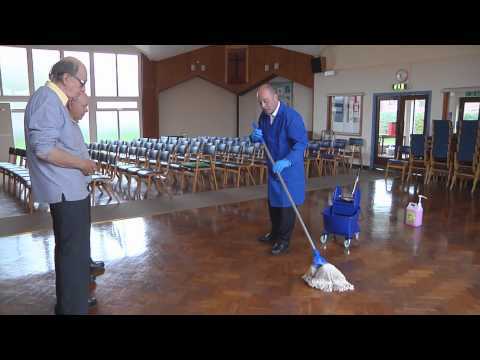 • Effective floorcare: stripping, polishing and maintaining. • Getting the best from dilution control. Many organisations suffer excessive staff absenteeism, through the failure to take simple measures to prevent the seasonal spread of infection, such as colds and flu, and properly assess the potential for accidents from workplace risks. In other contexts, such as catering and healthcare, the failure to take adequate measures to prevent the spread of infection can have grave consequences both for users and the organisations themselves. This workshop explores simple methods to identify and prevent cross infection and workplace risks from the use of cleaning and hygiene products in your organisation. For most organisations, the tracking and scheduling of service and repair programmes for electrical equipment, whether regular Portable Appliance Testing (PAT) of vacuum cleaners, the annual servicing of rotary floorcare machines or repairs to auto-dosing equipment in the kitchen, can be something of a headache. Our Service Desk software module, which we offer free to customers*, is a web-based module which can be used on a stand-alone basis and offers an administratively easy solution to the maintenance control of all the electrical equipment in your premises. A register of selected electrical equipment, helping you to keep track all your electrical assets. Full asset details can be entered, such as type, location, departmental responsibility, and so on. For each item of equipment, you can hold full scheduling details for PAT and service cycles, as well as repair details. This means that you will never miss a service data again. Repair and service requests can be raised by staff and sent directly to your appointed contractor. Full reporting of service and repairs carried out, assisting with ‘repair or scrap’ decisions. Sub-contractor app, which can be downloaded and used by your appointed contractor to show when a repair or service has been carried out. *conditions apply, contact us for more details.